We take the phrase "pretty please" seriously and it shows with the pretty typography design on these black save the date postcards. 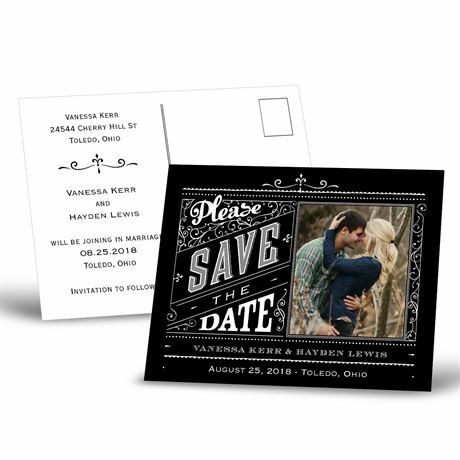 "Please Save the Date" prints in white in the font shown. Your wording is printed in your choice of colors and fonts. Save the date postcards save you money on postage.